This view is a tree representation of the plan file, default plan.xml. A double click on a child node will open the corresponding properties dialog. The node order does not represent the plan.xml but is alphabetically sorted. If the wrapper.xml is found in the Decoder Path, it will be used for resolving units and categories of the attributes. Unknown attributes will not be listed in the value view. Adding categories to the wrapper.xml is work in progress. One click action for expand and collapse. 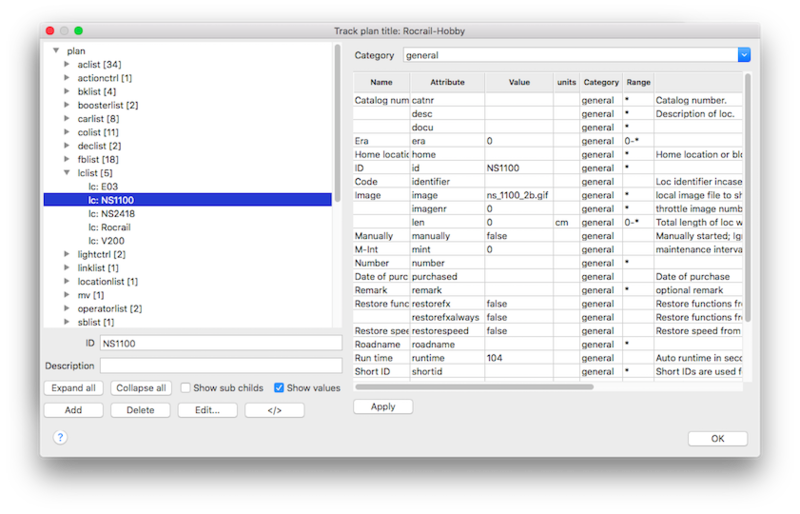 Show also child nodes of objects like function definitions and so on. A double click on a sub child does not open a dialog. Shows the grid with values of the selected node. Add or delete a node. List nodes cannot be added or deleted. Open the corresponding properties dialog. Open the XML Editor for the selected node. Apply the changes made in the grid column Value.